Wood pallets have become very popular. 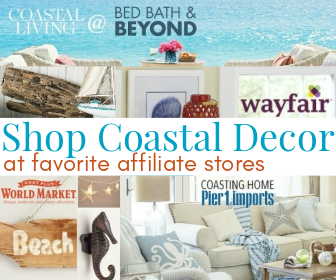 They are made into furniture, shelves, wall decor and more. 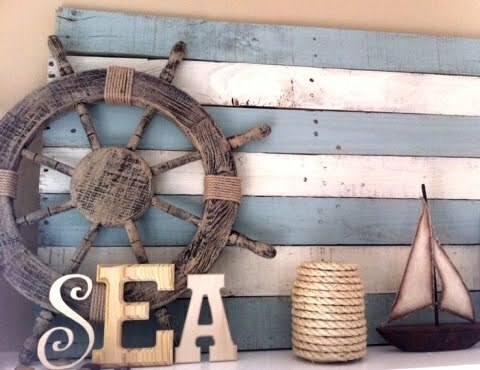 Here are some coastal DIY wood pallet decor ideas. 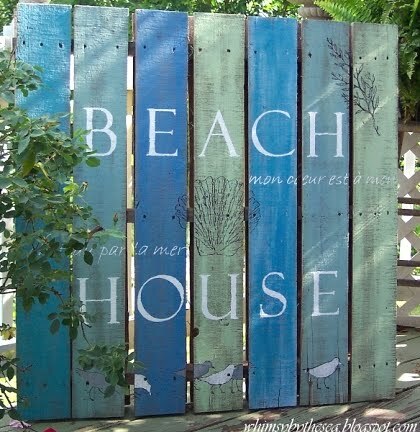 A wood pallet is transformed into a beach sign with saying by Whimsy by the Sea. Original source no longer available. To create this lovely blue and white wood pallet board a saw was used to free the boards, then put back together closer with fasteners. By The Turquoise House. 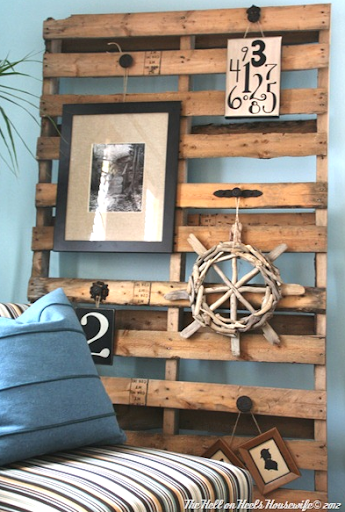 This pallet board simply leans against the wall and serves as a display board. Knobs and handles were attached, and a lovely driftwood wheel is in the mix. Original source no longer available. I love this idea too by Blue Eyed Yonder, featured on Art with Sayings and Quotes. It's a wood pallet look-alike. Another Wall Art Piece for which the pallet planks were reconfigured. 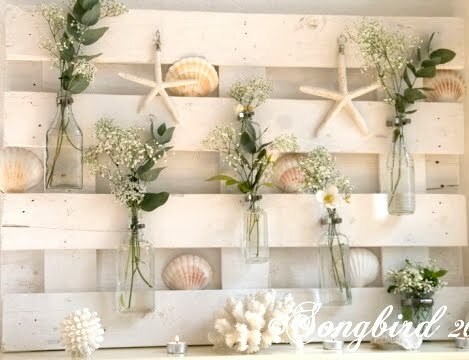 Here a wood pallet is painted white. A wood pallet chopped in half. And voila! 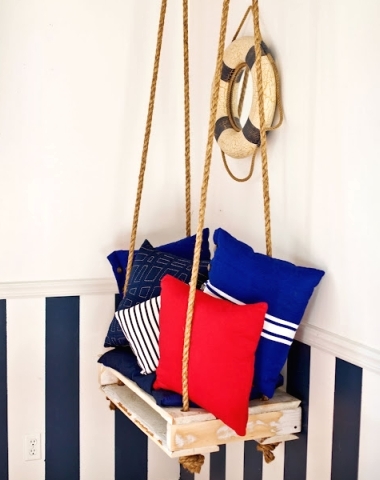 The most adorable hanging seat for the kiddos. You'll find all the details here. 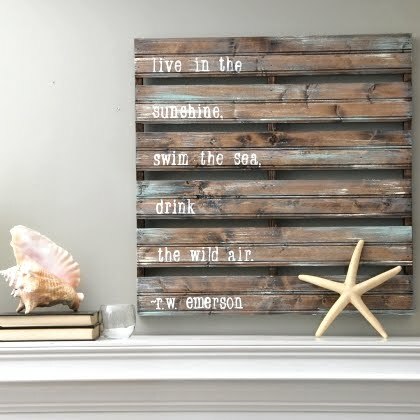 A diy wood pallet sofa for a Beach Retreat at House and Home.